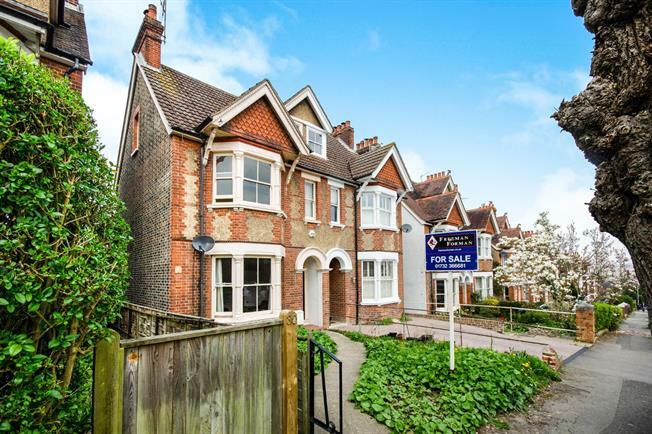 4 Bedroom Semi Detached House For Sale in Tonbridge for Asking Price £650,000. Freeman Forman are delighted to present this charming four bedroom semi detached family house, situated in this sought after road in South Tonbridge, close to excellent schools and the mainline station. The ground floor consists of a spacious living room with high ceilings and bay window to the front, dining room, kitchen and further dining area, and a utility room. On the first floor is a modern family bathroom and three double bedrooms. On the second floor is a further double bedroom with space to add an en-suite shower room or dressing room. Outside, offers front and rear gardens, plus a detached garage and off road parking to the rear via a service road. The property needs some modernisation.